From February 15 to 18 we enjoyed some warm weather and received a great reception at the Modern Living Expo in Palm Springs, California. We also enjoyed meeting the other great vendors, like ISS Designs. DesignMod LLC is excited to announce that its new Smoothline® flush-mount wall plate system is now available for purchase. Our innovative system provides a cost-effective way to mount outlets and switches flush with the wall for the ultimate in clean lines and modern sophistication. Patent pending and UL approved, our system installs easily using standard drywall finishing techniques. Simply install the Smoothline flange as part of the finishing process, paint or paper the wall with the protective temporary cover in place, and snap in the final cover. It's the perfect way to achieve an uninterrupted, modern aesthetic in any room for about the same cost as a common hidden-screw wall plate. The Smoothline system is available for one- to four-gang installations and retails for $9.95, $12.95, $15.95, and $18.95 for the one-, two-, three-, and four-gang sizes, respectively. 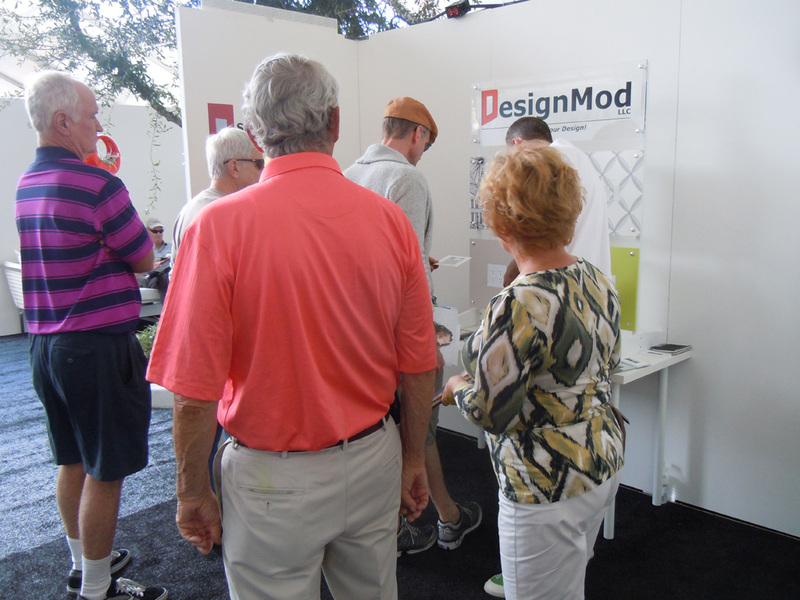 To learn more about DesignMod's innovative products, visit www.designmod.com. We guarantee you'll never look at wall plates the same way again.